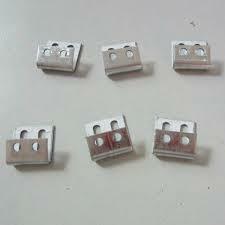 Spring Clips comes in two variants 4 hole and 5 hole. packing 3000 pcs per box. Best quality sewing machine oil available in 2 packing size. Nozzle bottle packing for best and economic use. Packaging Details: 500 ml and 1000ml nozzle bottle packing. Looking for Sofa Accessories ?